Note from Andrea: This article first appeared on Parenting With a Smile. I made Linda’s eggnog last year with a couple of minor changes–I used 2% milk (because that’s what we usually have on hand at our house), and I accidentally used 3 tablespoons of vanilla instead of 3 teaspoons. I left out the run flavoring, but the extra vanilla more than made up for it. Yum! I’m posting this recipe fairly early in December because you may want to enjoy this alcohol-free, light eggnog all month. I usually make this to sip on while we decorate our Christmas tree. 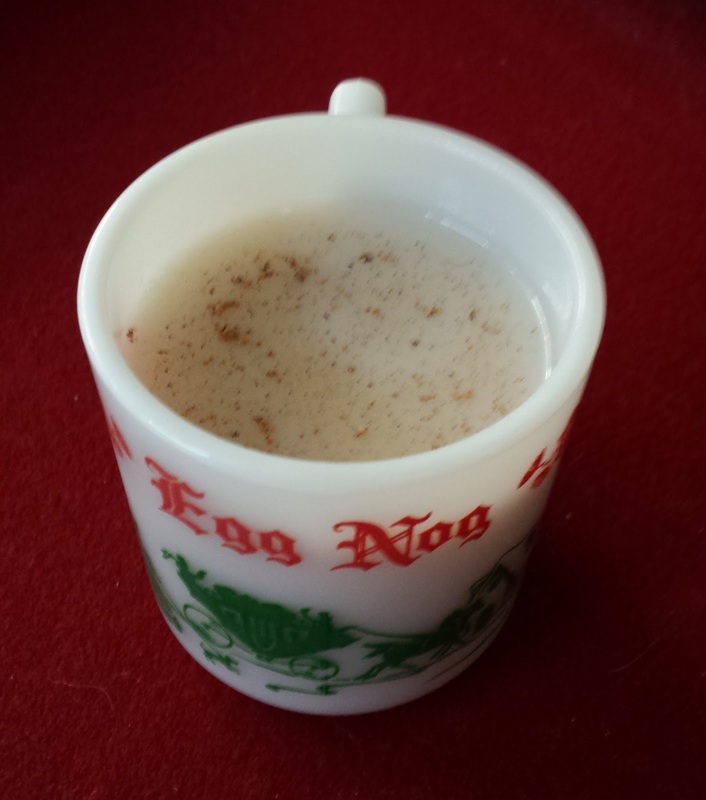 My husband’s family has made their own eggnog for years. I married into this awesomeness 24 years and 11 months ago. Since I first tasted the stuff, I was hooked. It wasn’t like the store bought junk that’s thick and super sweet. This eggnog is so much better. So even if you’re not an eggnog fan, give this a chance. It may make you the Christmastime hero in your family. I’ve modified it a bit from the original recipe, so I feel comfortable calling it my own recipe. Here goes! Combine eggs and sugar, mixing until frothy. Add remaining ingredients until well mixed. Ladle into cups. Sprinkle the top of each serving with nutmeg. Tastes best with Christmas music playing in the background. 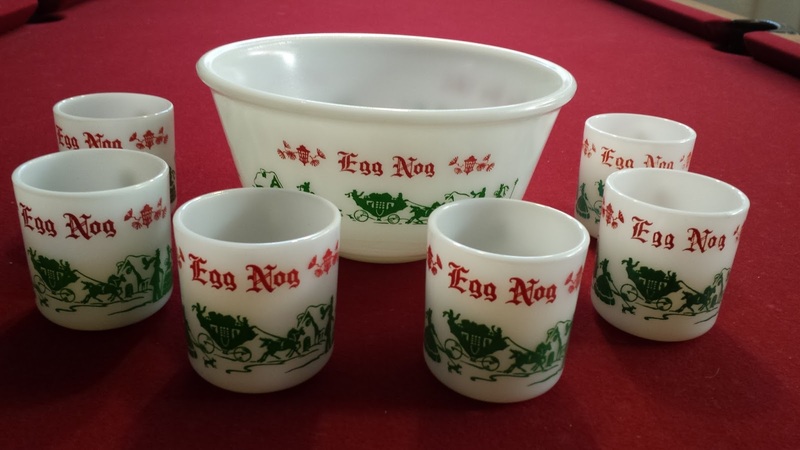 Some dear friends gave us this vintage eggnog set many years ago. Isn’t it the best? Are you an eggnog fan? What’s your favorite non-alcoholic Christmas drink?